If you are thinking about doing the Cisco Wireless track then the CCNP Wireless is not one to take lightly. Announced in March 2016, CCNP Wireless still consists of four exams but have been revised to meet real world skills and demands. The prerequisite still stands, you must have CCNA Routing and Switching for your CCNP Wireless to be valid. You will also need a CCNA Wireless. With the 2016 revisions comes new content. The exams focus on the following products. At a glance, here’s how the existing exams map to the new ones. Taking a look at the 300-360 WIDESIGN (Wireless Design) exam shows they have added two more objectives, from five to seven. While 642-732 focused mostly on site surveys, it looks like the new 300-360 encompasses site surveys and WLAN design. What is also interesting is the inclusion of two third party tools, which I personally use, Ekahau Site Survey and Metageek Chanalyzer. The objectives for 300-360 are fairly evenly spread out averaging 14% per objective for the exam. I am happy to see focus on requirements gathering, predictive design and pre- and post-deployment surveys. Overall, 300-360 looks like a good exam. WIDEPLOY (Wireless Deployment) changes the original five objectives to eight objectives. Additionally, Cisco specifically mentions more lab time has been added to this exam. What’s apparent with this exam is the need for access to a lab. Practice both CLI and GUI as you will see many Implement keywords in the objectives. What I believe will be difficult with 300-365 are the objectives for knowing controller-based functions such as high availability and FlexConnect. This would require equipment to practice these objectives. Additionally, you’ll need knowledge in working with MSE, IOS-XE and Prime. Another exam where the objectives changed from five to seven objectives. WITSHOOT is actually a new exam in CCNP Wireless. Previously there was no dedicated troubleshooting exam. I think this is actually a good thing because out in the field, troubleshooting is a primary function of managing a wireless network. The focus of this exam is in troubleshooting methodologies, techniques, and tools. Be prepared to analyze debug messages, know your show commands, troubleshoot configuration issues, know about RF interferences and even infrastructure issues. Although CCNP Wireless is in fact a wireless exam, there are objectives targeted towards issues on the infrastructure side. Wireless wouldn’t be complete without security. A topic that shouldn’t be taken lightly. But this is the only exam that went from seven objectives to five. So this exam is a double-edged sword. They remove NAC, WCS, and ACS (WOO HOO!) but wait a second, they added ISE. Yep. Again, Cisco mentions they added significantly more lab time. This is an in-depth security exam as they list objectives dealing with EAP, 802.11w, policies, 802.1X, AAA, you name it. 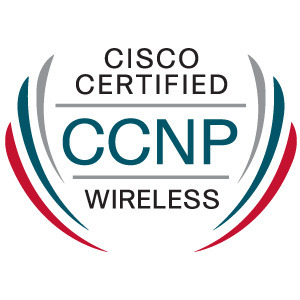 The new CCNP Wireless certification beginning in 2016 looks like a great certification to go for. I think they’ve added several objectives that target real world skills and scenarios. I like the addition of a consolidated troubleshooting exam. I’ve spent a lot of time troubleshooting wireless with regards to interference, capacity, and even application issues that would mask as a wireless issue. In comparison to the CWNP exams, you can’t really do it. It’s apples and oranges. CWNP is vendor neutral and you won’t really dive into some of the Cisco-centric technologies in any CWNP exam. So I’ll say it here, I highly recommend at least taking CWNA before diving into a vendor specific certification for the knowledge of wireless in general. It will come in handy for real world and in the exams for design and troubleshooting. Check out Cisco’s full documentation on all the changes to the new revision. With the CCNA Security certification updated to 210-260 we are left asking ourselves, why CCNA Security? What changes have been made and what can you expect with earning this certification? I am fortunate to do a Q&A with Omar Santos and John Stuppi, authors of the CCNA Security Official Cert Guide. The questions focus on how they got their start in security to what kind of equipment you should have in your lab. We’ll also talk about what kind of experience is expected when taking the CCNA Security exam. How did you get your start in security? John Stuppi (John): I joined Time Inc. (publishing division of Time Warner) in 1998 as a Network Engineer and we had a staff of three (including my manager) so we had to wear a lot of hats: network design, network engineering, network operations, and network security. We started out managing Check Point firewalls and then became involved with various VPN and Security products from Cisco. Since I’ve been with Cisco (starting in September 2000) I have been 100% focused on network security. Omar Santos (Omar): I started in security when I joined the U.S. Marines in 1994 and then provided support for the U.S. Department of Defense (DoD) until 1999. I joined Cisco shortly after, and just like John, I have been fully focused on network security. I started in Cisco’s Technical Assistance Center (TAC) supporting all security products. After a 4-year tour in the TAC, I joined the World Wide Security Practice leading several security engagements (i.e., security architecture reviews, security implementations, design guidelines, etc.) for Forture 100/500 customers and government organizations. In 2007, I joined Cisco’s Product Security Incident Response Team (PSIRT) in the Security Research and Organization group. In PSIRT, I investigate and drive-to-resolution security vulnerabilities in all Cisco products and services, evangelizing security automation, and also assisting customers that are under attack or have been breached. Below are my notes for the CCNP Routing & Switching SWITCH 300-115 certification exam. I used two Cisco 3560 switches and GNS3 to perform my labs. For theory, I used Cisco Configuration Guides and the Cisco Press Official Certification Guide. Hot Standby Router Protocol, HSRP, is a Cisco proprietary protocol to make multiple routers or switches appear as one gateway. The gateway is where the redundancy is provided. For each redundant gateway, there is a common HSRP group. One router/switch becomes the primary HSRP router and another is selected as the standby HSRP router. Any other devices part of the group are in the listen HSRP state. R1 and R2 will be HSRP enabled. At a 3 second interval, routers send HSRP hello messages to become aware if the other is up or down (between Active and Standby). The hold time value is 10 seconds or three times the hello timer. These hello messages are sent to the multicast address 224.0.0.2 using UDP port 1985. There can be up to 255 HSRP groups and they are only locally significant. Election of an active and standby HSRP router is based on a priority value of 0 through 255. By default, the priority is 100 but the highest priority value becomes the active router for the HSRP group. If there is a tie, the router with the highest IP address becomes the active router. EtherChannel Guard is a way of finding out if one end of the EtherChannel is not configured properly. This could be that there are some parameters not matching up such as duplex and speed. Or it could be that one side is a trunk and the other isn’t. When there is a misconfiguration found, the switch will place the interfaces in error-disabled state and an error will be displayed. I have four physical switches I use for studying the CCNP SWITCH. While labbing spanning-tree protocol, I noticed an RSTP particular port role in IEEE spanning-tree mode. Note that this is not RSTP. My switches are running in 802.1D, STP. I have redundant links between my switches. I highlighted the text in bold. VLAN 1 is running IEEE STP and you can see F0/1, F0/47, and F0/48 in Altn port role. The switch command spanning-tree mode pvst is shown in the running-config. The Alternate port role is actually found in RSTP, 802.1W, as you can see in this Cisco document. I went out to the networking-forum to see if anyone else had this issue and was then lead to the Cisco Support forums.